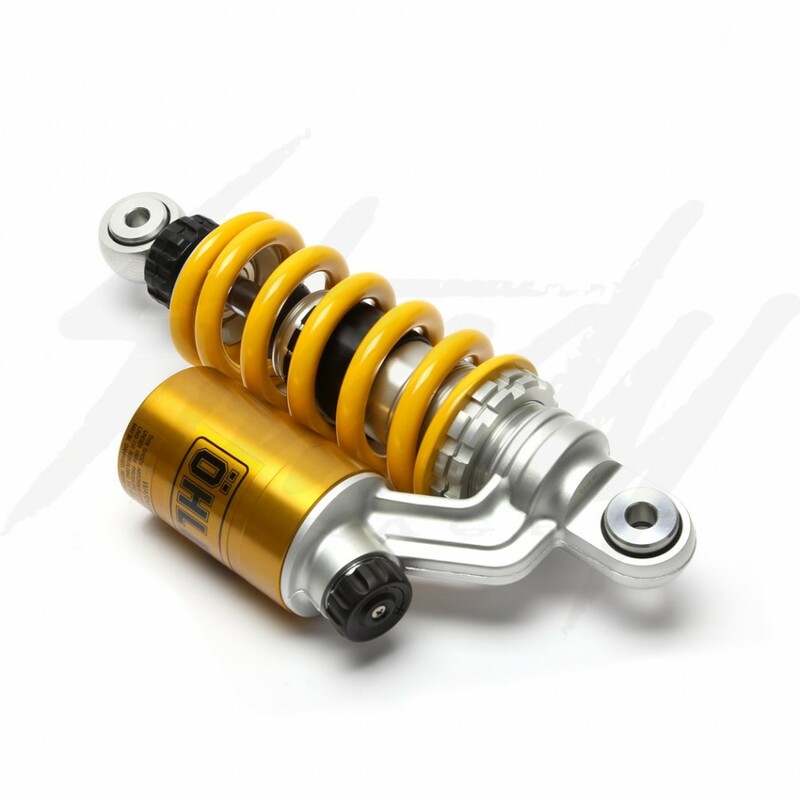 Ohlins high performance coilover rear shock for Honda Grom 125. 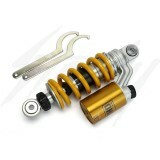 Adjustable shock, from spring pre-load to dampening! 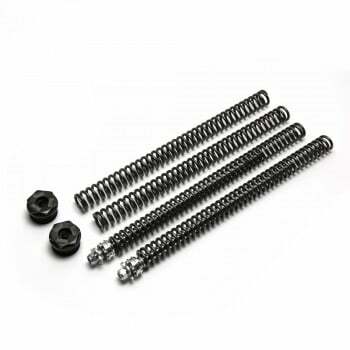 This allow riders to adjust the spring rate and shock performance according to their weight and riding preferences. 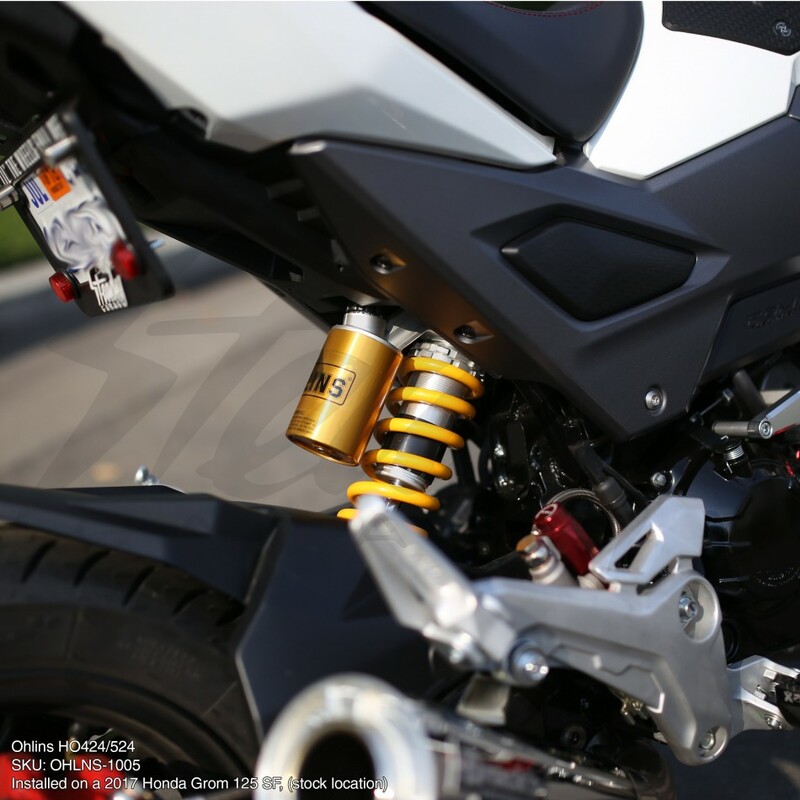 Ohlins high performance coilover rear shock for Honda Grom 125 allows you to adjust the spring pre-load to increase the stiffness of the rear suspension, and you can adjust compression or rebound on the fly. Highly recommended for all type of riders/racers and for those who are going to extend their Grom 125 wheel base.